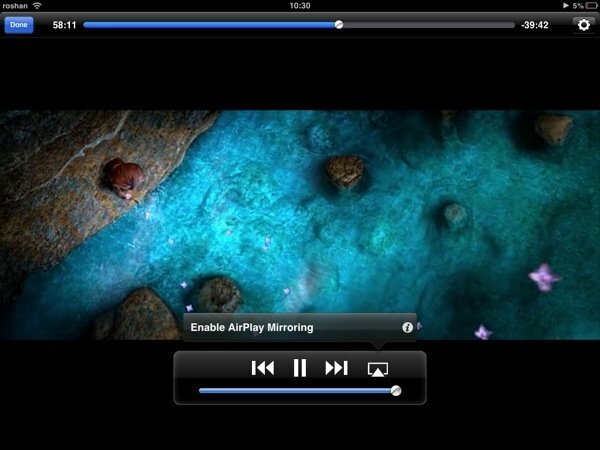 I have been a power user of AVPlayer on my iPhone and iPad, since a long time. 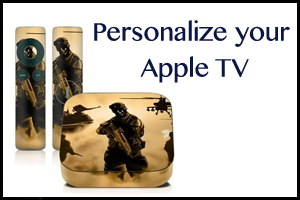 In fact, I din’t even know that I needed a better player until a couple of days back when I tapped the buy button besides Infuse – The Beautiful Way to Watch Videos. Infuse amazes us at different levels! The opening screen invites you to a Stage, that showcases all your videos both within the app and those in the gallery. 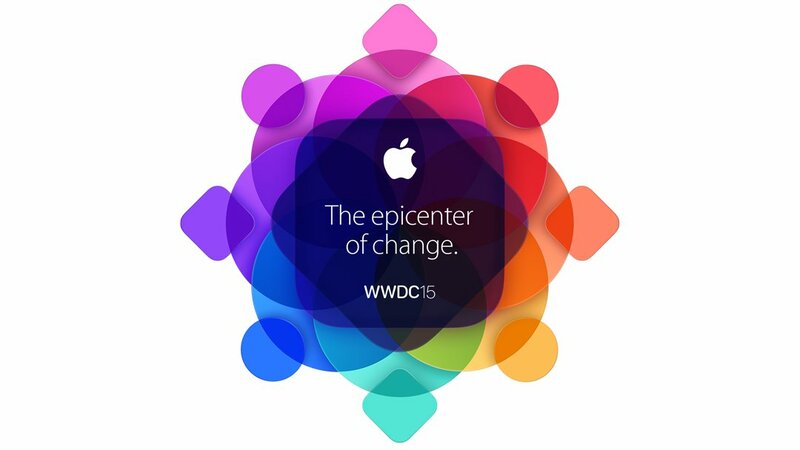 You can add more content anytime, via iTunes sync, FTP transfer, via Browser or from other apps. I just loaded my favourite episode of the TV show House, to test the app and that is when I started noticing the difference. Mine was a raw file named ‘house 0416‘ without any other details. In a few seconds Infuse tracked down the video and pulled all available details from the internet into a neat little ‘ticket‘. The thumbnail is on the stage, IMDB rating on top and even a Parental Guideline seal. Details of the crew, resolution of the video, duration and summary of the episode are here in a blink. Mind blown! 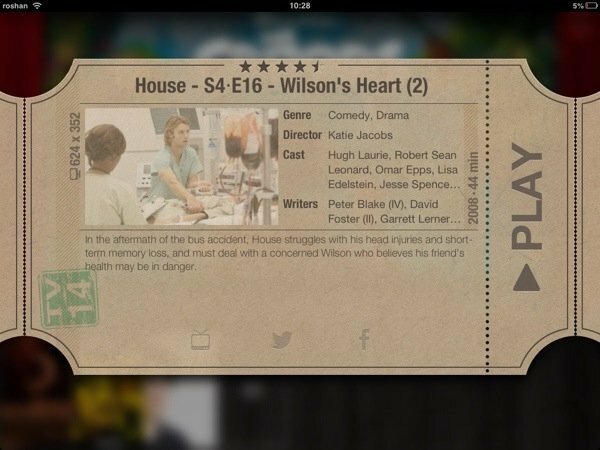 Tap on the play button and the ticket side is torn to enter the theatre. 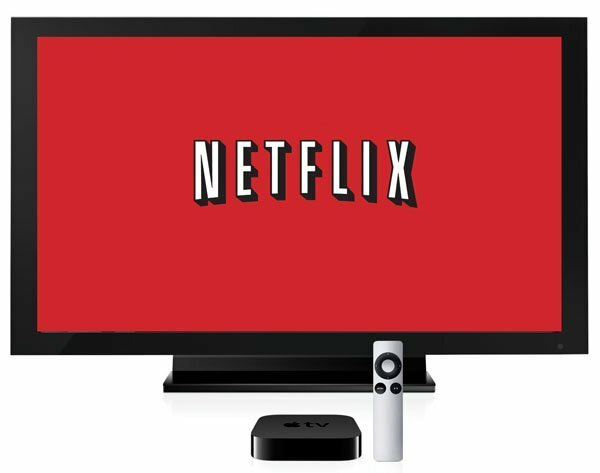 Sit back and enjoy all your favourite movies, TV shows, trailers, courses, music videos or just anything, in up to 1080p resolution. Support for over 14 formats including the popular MKV, AVI, FLV, WMV, 3GP, etc., in addition to the standard MP4, MOV and MOV, means Infuse chews up anything you throw at it. Playing both AC3 and E-AC3 audio makes sure you have the highest level of entertainment’ always (note that DRM-protected content purchased from iTunes are not supported). But things are far from over. A little into the video, what if you realise that you cannot follow the conversations, especially if you’re a non native speaker or watching a foreign movie? No worries, just go into settings and look for an alternate audio track. If that doesnt help, tap ‘Subtitles’. Either your can load your own srts or Infuse can automatically find them for you in the vast and popular OpenSubtitles.org database. Change subtitle settings to customize the appearance and set the offset. Tadaa! In addition to all these uniqueness, the routine brightness, aspect ratio, and scrubbing are available, of course. 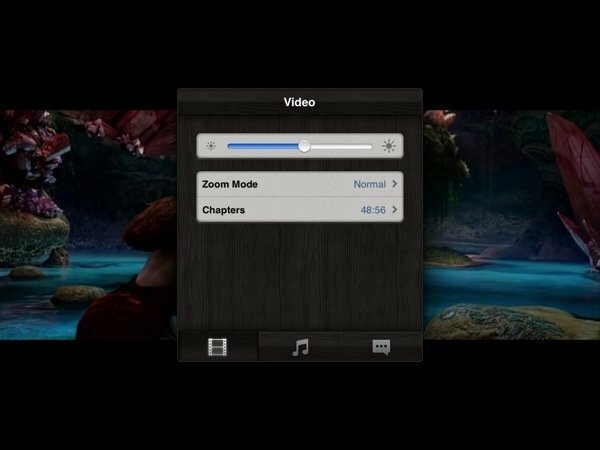 The videos are divided into chapters so that you can note down your favorite scenes. Sync via a Trakt.tv account to play across multiple devices and share with friends via Facebook and Twitter. 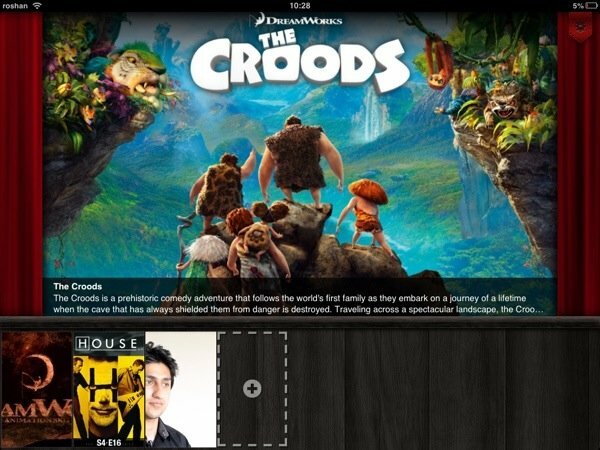 The latest update brings Wi-Fi file transfers (you can get videos into Infuse by dragging and dropping them into the app through any web browser) and the much awaited AirPlay option that lets you play your videos on the big screen and completes the video viewing experience. 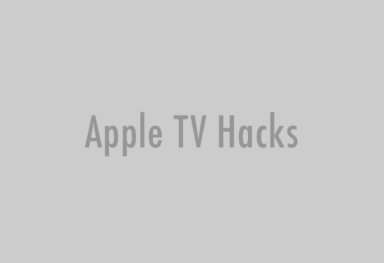 The new fullscreen TV-out feature (when using HDMI/VGA adapter) is also a good addition. It is cruel to ask more out of an app that delivers so much. But if you insist, I would wish for a Touch lock and Orientation lock buttons within the app and also a few handy Gesture controls. In short, Infuse is hands down, the best video player I’ve ever used. 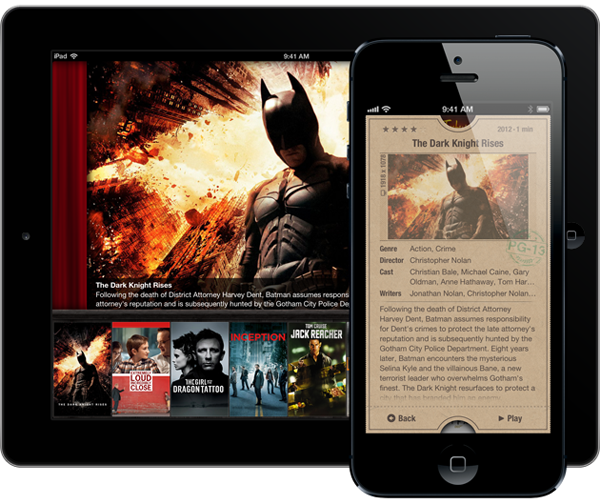 Get Infuse – The beautiful way to watch videos from the App Store for $4.99, as a universal app for iPhone and iPad.